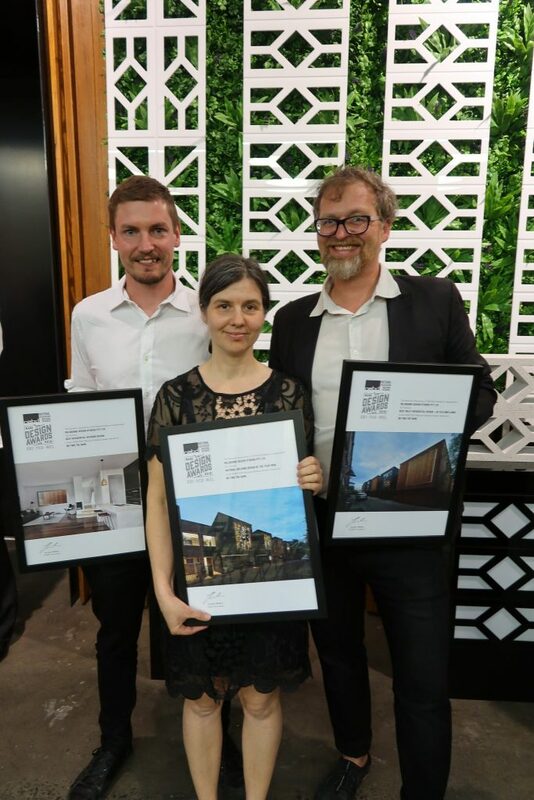 Melbourne Design Studios has won the National Building Design of the Year 2018, for their ‘No Two The Same’ apartment project in Richmond. The project also received the BDAV’s 2018 Building Design of the Year 2018, which is a great achievement for MDS. ‘No Two The Same’ is a contemporary, highly-crafted design that reflects the craftsmanship associated with the area’s industrial past, sitting comfortably within the surrounding urban fabric. It is a minimalist, but warm and welcoming house design; both the natural and urban environments blend seamlessly together. The project consists of six bespoke, luxurious, highly contextual, urban residences that pay homage to their historic inner-city location in a sustainable and contemporary manner. The individual residences that make up the development all have unique architectural and interior qualities while maintaining a congruency of a well-planned village. High-level ESD principles and design for longevity were key drivers of the project. With its sustainable design approach, the project successfully delivers an abundance of natural light and ventilation, as well as a strong connection with nature via a central courtyard and north-facing gardens. Other sustainability features include natural, recycled and sustainable materials, rainwater harvesting, solar water heating, efficient heating systems, and water saving fixtures. The use of recycled bricks brings a direct sense of the heritage locality deep into the heart of the dwelling, while the handcrafted façade operable shutters create interest. The clever design and detailing, connection to the landscape and surrounds, and the blurring of the boundaries between public and private spaces create a tranquil oasis in the heart of the bustling inner suburbs. The omission of a front fence and semi-permeable façades blur the boundaries and allow for more social interaction within the community. The planning response, the design of the layout, the interior design, the design execution, the thoughtful and respectful use of materials, this really is the end result of all these design elements coming together. Further, in a project that fully challenged the resolve of the building designer, Melbourne Design Studios have exceeded expectations. This project also won awards for Best Multi-Residential Design – up to 6 Dwellings and Best Residential Interior Design in the NABD’s 2018 Awards, adding to the accolades already achieved by this outstanding project. BDAV Member projects scooped the pool in the 2018 National Building Design awards, with 13 winners and commendations featured from Victoria Seven BDAWA member projects and three BDAQ member projects were also recognised in the NABD Awards. With its sustainable design approach, the project successfully delivers an abundance of natural light and ventilation, as well as a strong connection with nature via a central courtyard and north facing gardens.